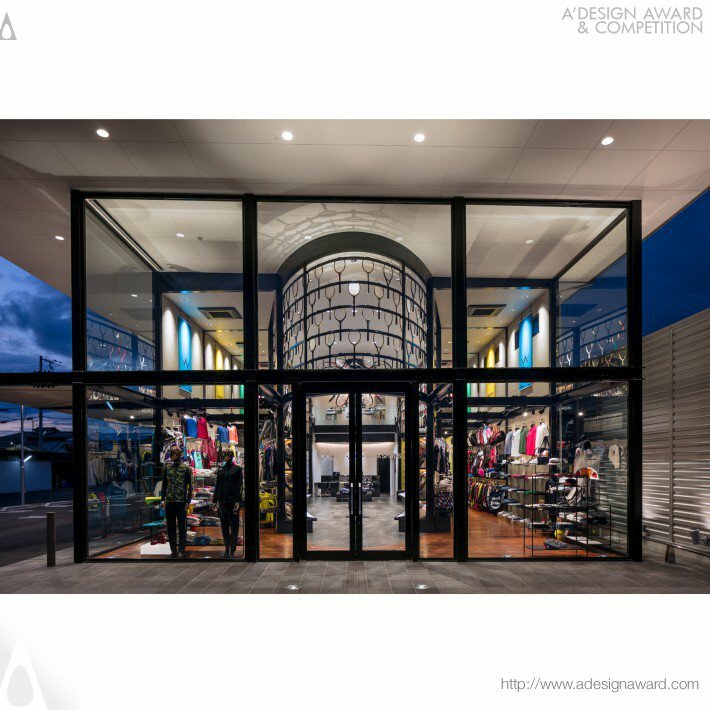 World Design Consortium is interested in design of Bars, Restaurants, Hotels, Shops, Residences, Convention Centers and similar projects for interested parties. Please kindly contact WDC for Interior Space and Exhibition Design consultancy, tenders, jobs, offers and requests. Below, displaying an award winning project by TM/18497438. 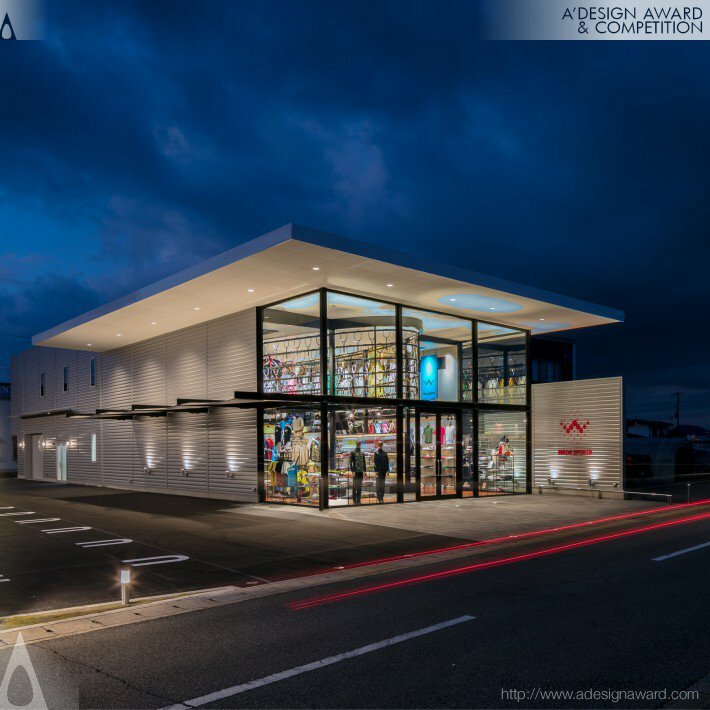 To celebrate its 30th anniversary, WADA Sports is relocating to a newly built headquarter and flagship store. The inside of the shop has a gigantic elliptical metallic structure supporting the building. Bellow the elliptical structure, the racket products are aligned in a specially designed fixture. The rackets are arranged in series and made easy to take on hand one by one. 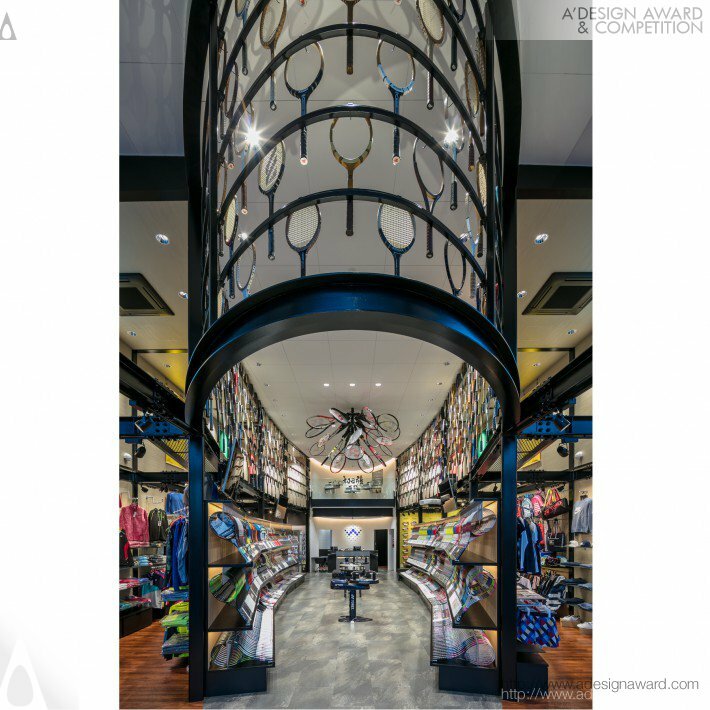 Above, the elliptical shape is used as a display of various valuable vintage and modern rackets collected from all over the country and transforming the shop’s interior into a racket’s museum. 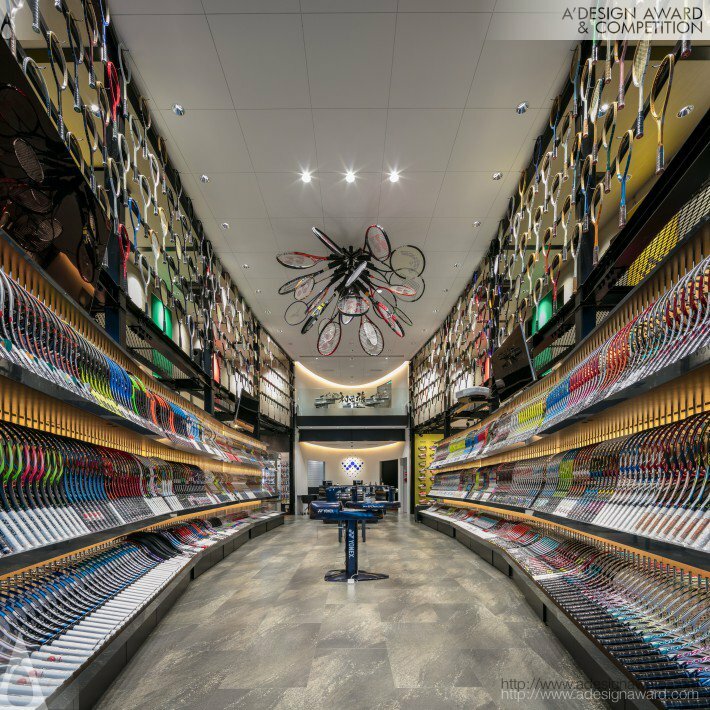 If you wish to have a very good flagship store design, please contact our secretariat and indicate that you wish to work with TM/18497438 for your flagship store project. We will process your request immediately and forward your requirements to TM/18497438. 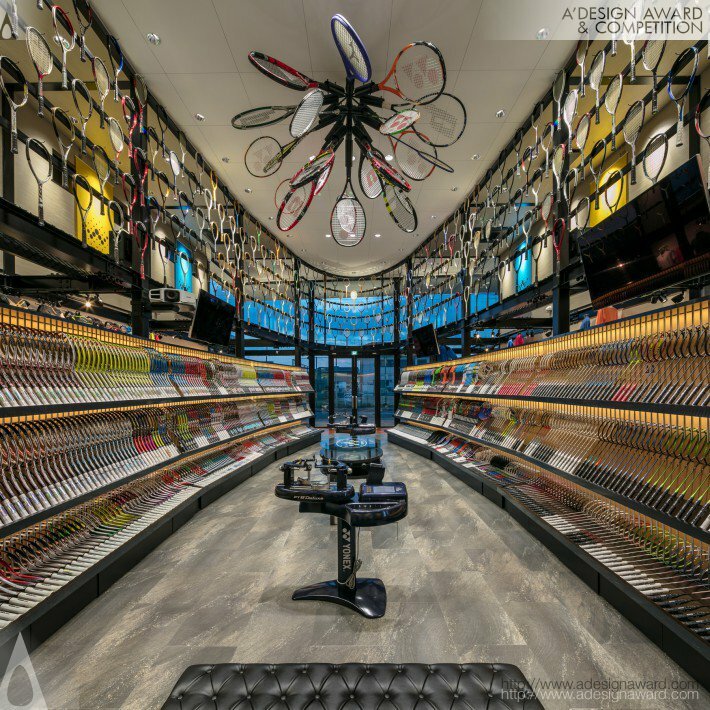 Request Consultancy for flagship store design by TM/18497438. Within the scope of Interior Space and Exhibition Design, our partners have completed projects such as: Airport Control Centre, House, Interior, Office, Interior Design, Old Photo Exhibition, Multi-Functional Headquarters, Mobile Public Library, Club House, Real Estate Agency, Restaurant, Residentail, Post Office, Commercial, Residential, Dental Centre, Digital Gateway, Shop Concept, Residential Flat, 40-Year-Old Office Block, Cinema, Sales Office, Presentation Centre, Apartment Remodeling, Exhibition, Drug Store, Office Design, Home/Show Room, Retail Shop, Interior Space, Tourism Promotion Offices, Residence, Cafe and Hospital. For more Interior Space and Exhibition Design works, check our design portfolio.